The Beatles were right, you can’t buy love. Luckily, your business can buy love. I don’t mean paying for positive reviews, that’s a topic I’ll leave for Yelp and Amaz on. We all know you can’t lie about yourself online without an Internet sleuth calling you out, anyway. Your business can, however, pay for users to visit your site. In a world where businesses live and die by the SERP, new sites can leapfrog onto the first page and old sites can capitalize on their brand strength. 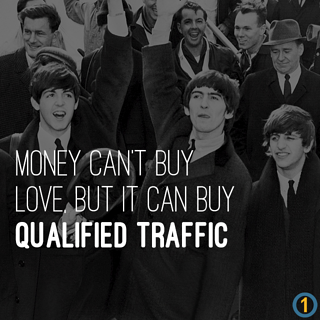 It’s not buying any old visit to your site, it’s all about buying qualified traffic with paid search marketing. Search ads are great for new sites that don't have their chosen keywords on the first page of organic results. Even the best SEO team (ours, of course!) needs time to properly hit the first page of organic search results. Google AdWords and Bing Ads can have your site appearing for your chosen keywords in a matter of hours. Utilizing remarketing features on display networks allows you to specifically target users that have already visited your site. Remarketing is a fantastic tool for not only reinforcing your brand, but also for increasing your conversion rate. 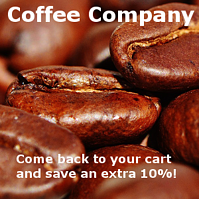 Retail businesses can set up custom audience lists where you can specifically target users that have abandoned their full shopping carts with extra discounts for completing their orders. When looking beyond search engines, there are many social outlets that allow for paid and boosted posting. Facebook offers very robust and granular audience targeting; including age, gender, interests, and location. Boosting social posts is beneficial for reaching users via other means than search results. Like with display remarketing, you can also target your promoted posts to previous visitors to your site. With such an incredible amount of control and scalability, Paid Search can benefit any business; big or small, old or new. Smaller businesses without a marketing team or experience in online advertising, don’t worry! Many Paid Search networks offer a basic or express option to get your program started. Be careful though, because mistakes can be literally costly. The Paid Search marketing platforms make money whether you do or not; this is how Google and Facebook makes their billions!